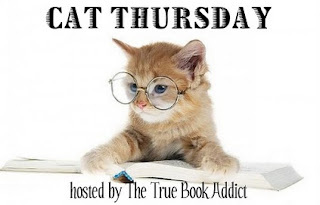 herding cats & burning soup: Cat Thursday...Ma! Iz STARVIN! What do you think? Anyone game on sharing their herds? 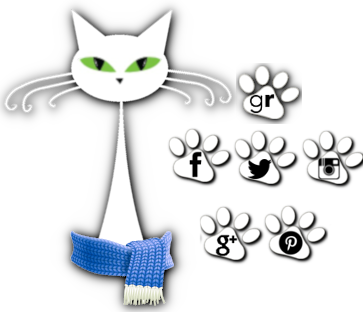 Or their favorite cat related pic? This week's feature feline is Garfield who is 3 years old and own's Sue B! When he's not guarding his feathers Garfield enjoys playing with toy balls and taking turns playing chase with his human "brother". Sue's boy isn't at all shy when it comes to asking for what he wants. He's got a good meow on him and isn't afraid to use it to get his momma's attention :) Especially when it comes to 4am snuggles and getting the door opened so he can gaze outside. We love the little orange boys and got a good laugh over his funny face and antics. Want your babies featured on Cat Thursday? and tell us a bit about them!! Unfortunately, I did not see the submitted cat photo. There was a link. When I clicked the link all that came up was a tiny red box...no photo of kitty cat. Hmm. That's really strange. His pic shows up for me. I went in a reuploaded his picture to see if that'll fix it. Maybe refresh and see if he shows? Sorry it's not working for you. Garfield doesn't like human food. Turns his nose up. He does like to dig for treasures in the trash or if he sees something you left on a dresser. Anything plastic I have to make sure to put away. He is a funny boy. What's funnier is watching this human running after him to get his treasure. LOL. My son picked the name. I wasn't too sure of it when he was a kitten but; it sure does fit him. Even when he looks at you it reminds me of the cartoon Garfield and I can just hear him with that voice. LOL. He has quite the personality. He is a fun kitty. Thanks for letting me share him with you. Have a great night Sue! 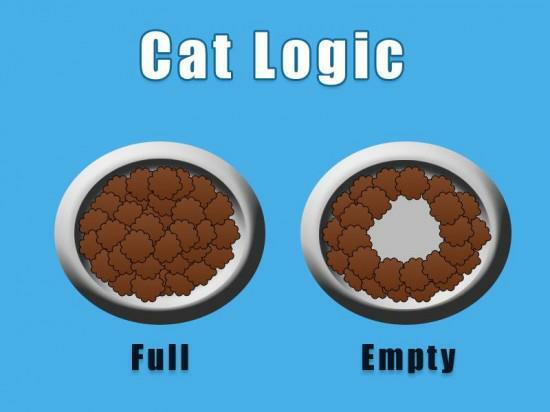 That is so true about the bowl! Of course, with as many as I have, you can't let the bowl go even half empty or they will come and get us! Bwaha. Yeah, that's more like our house too ;) We get a nice chorus of meows whenever they start to get nervous. Yup, that's about the speed of things with cats. The bowl can still be 1/4 full, but to them it's empty. Especially Alice...she's a stickler about that. And God forbid if the bowl is completely empty. You should hear the whining!